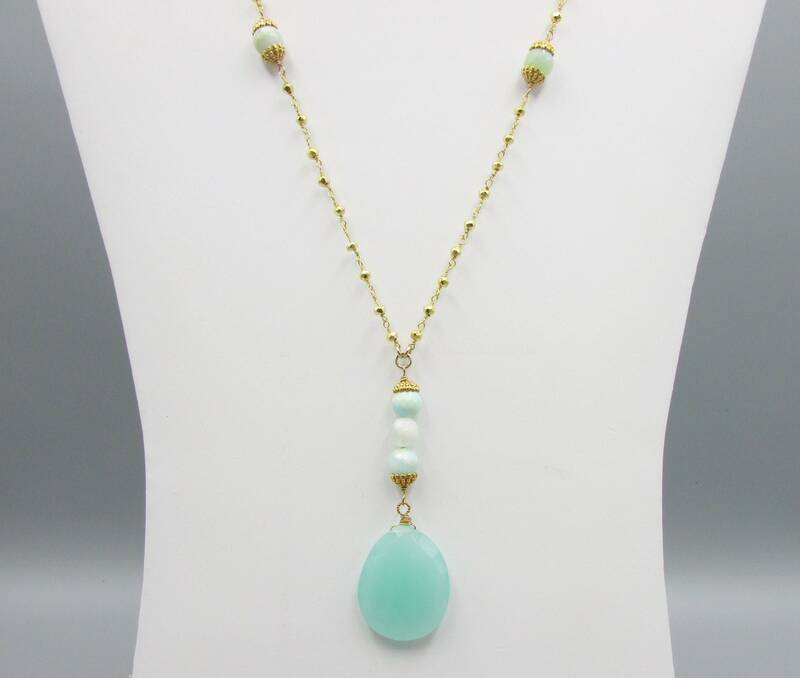 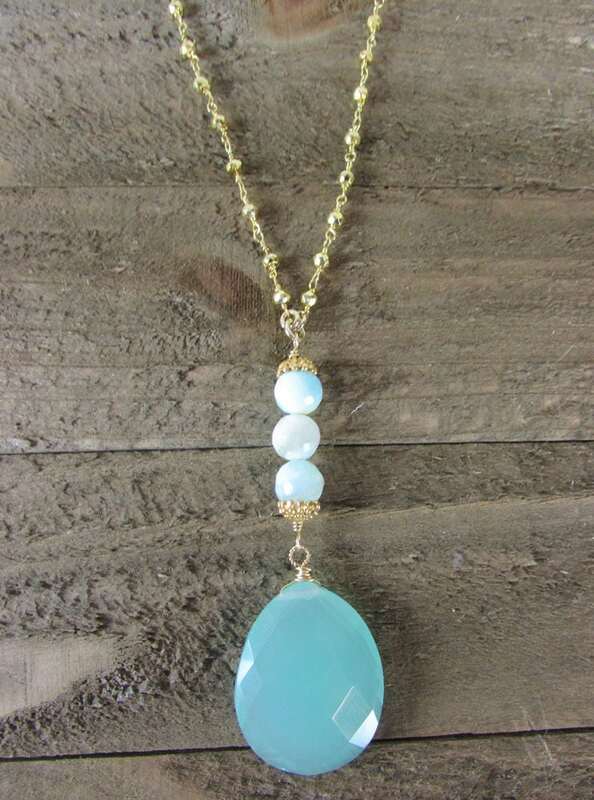 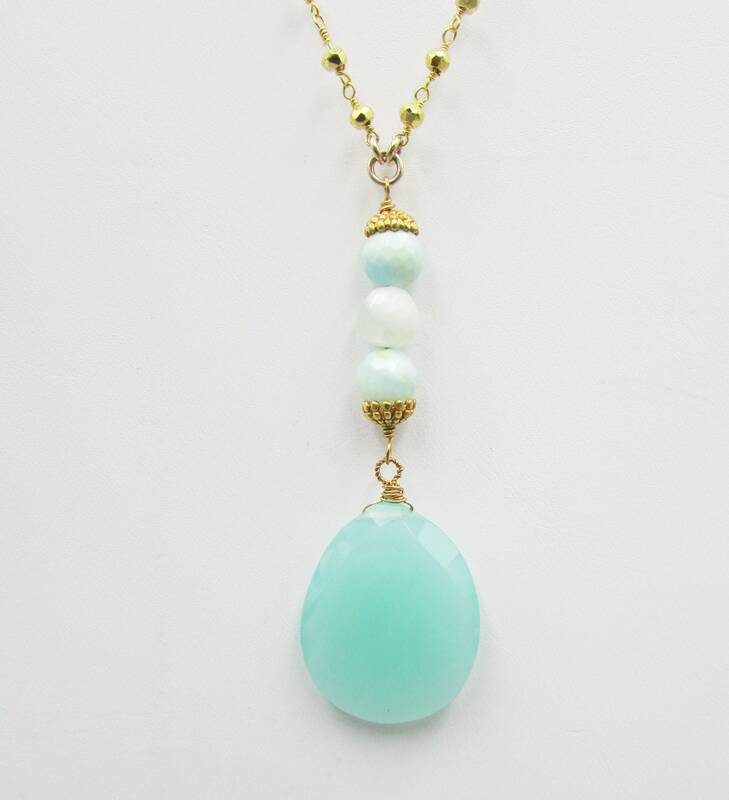 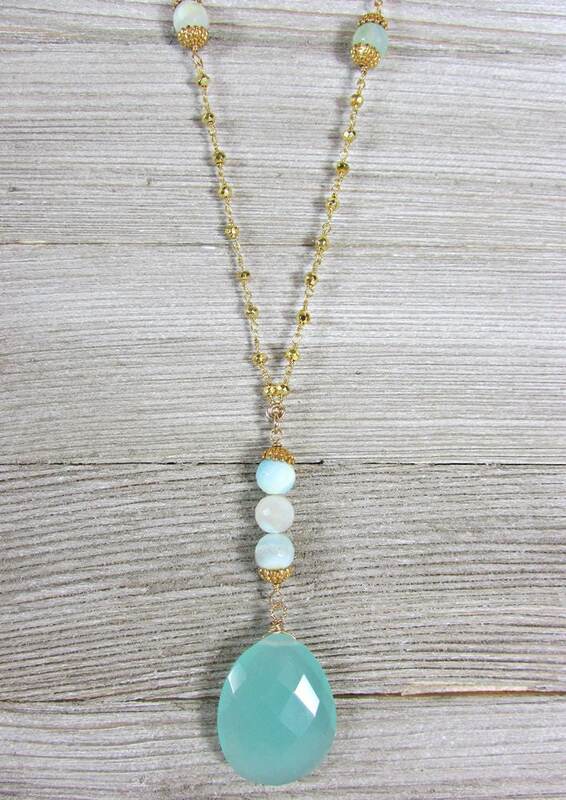 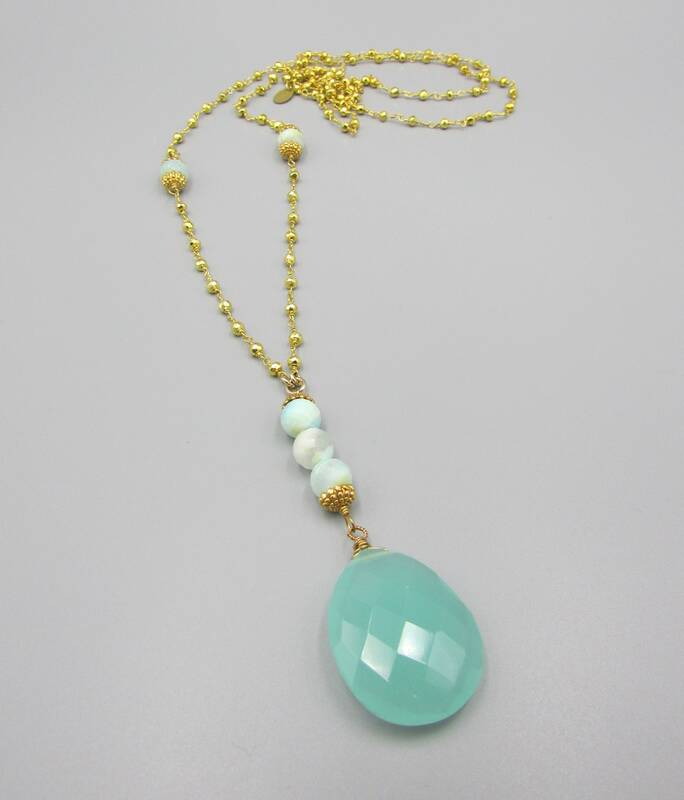 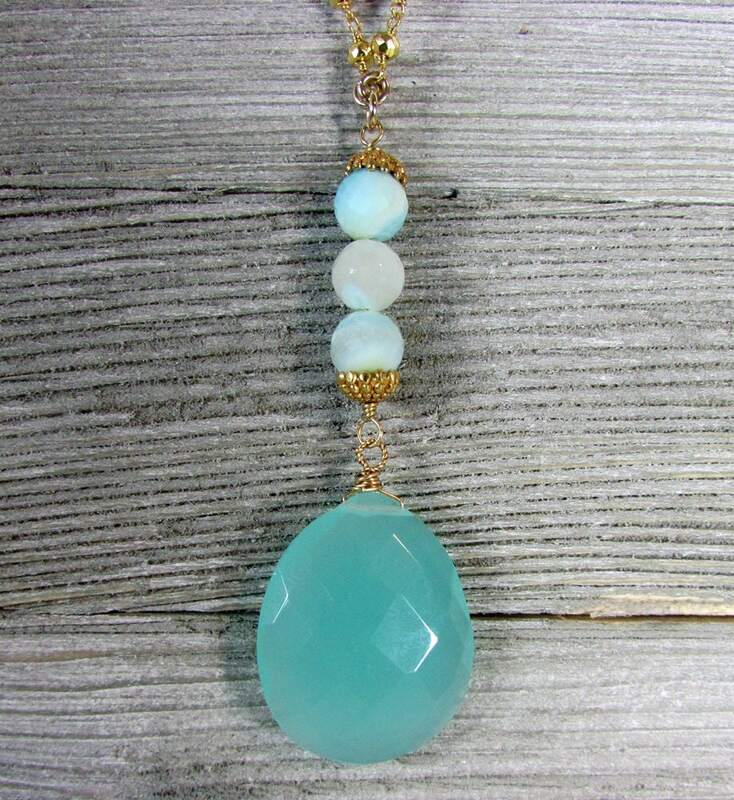 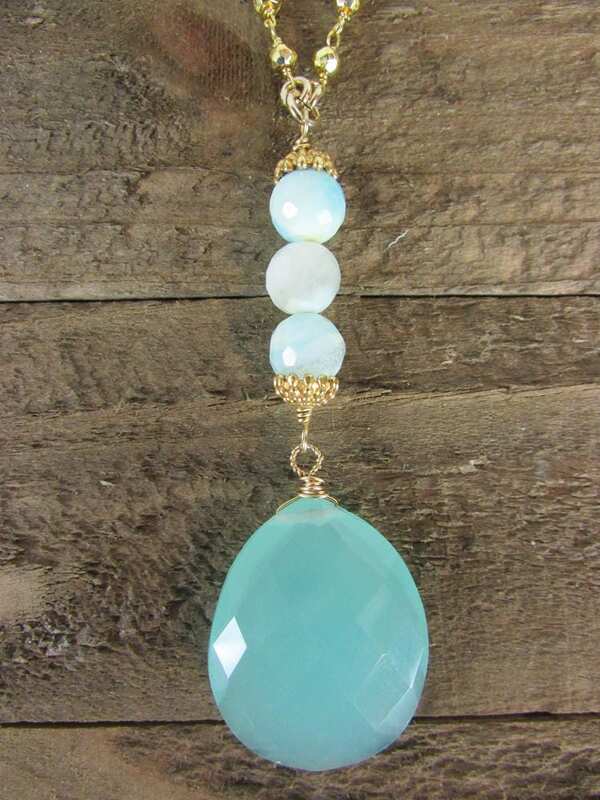 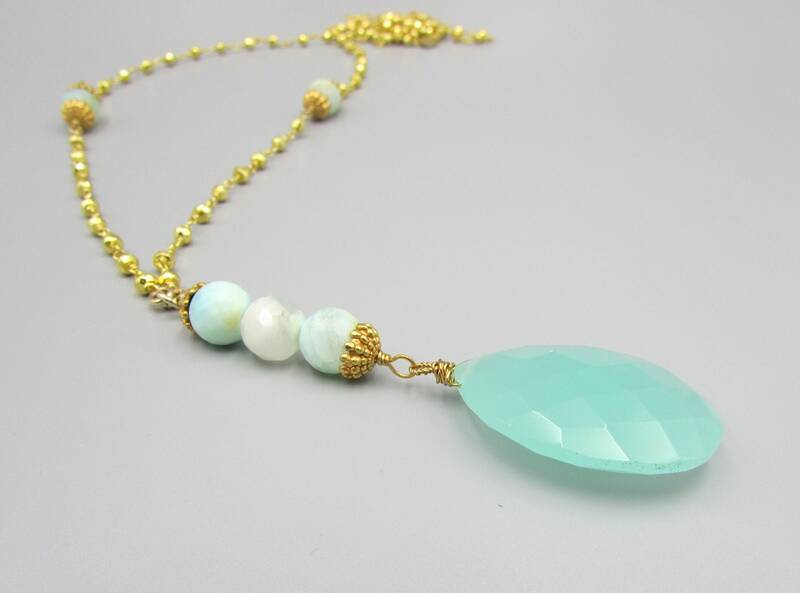 A lovely blue green chalcedony and peruvian opal long necklace with gold pyrite beaded chain. 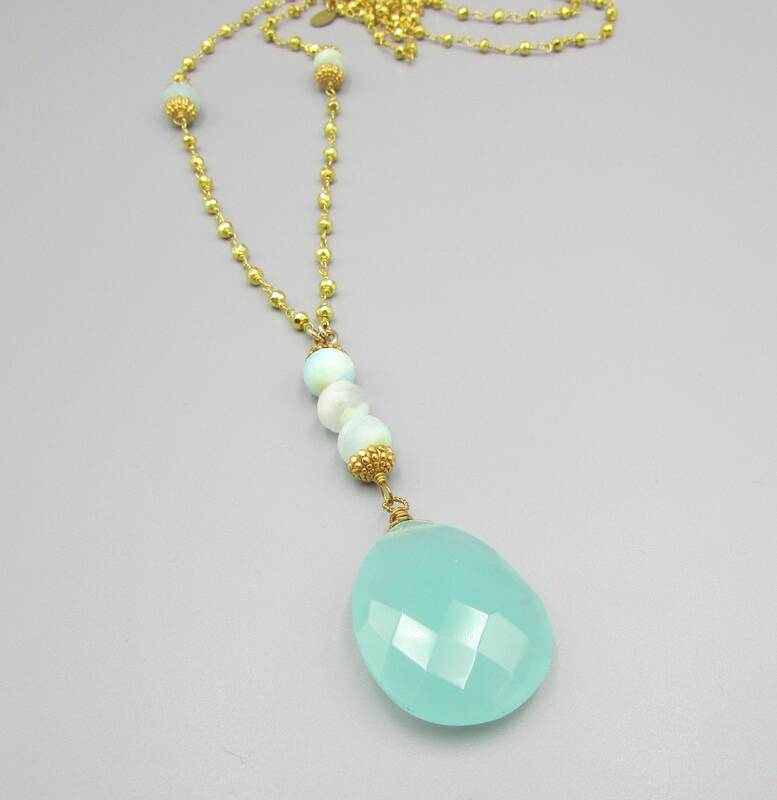 The pendant is made with a chalcedony gemstone 30x21mm and 3 peruvian 8mm opal beads, added with fancy gold bead caps. 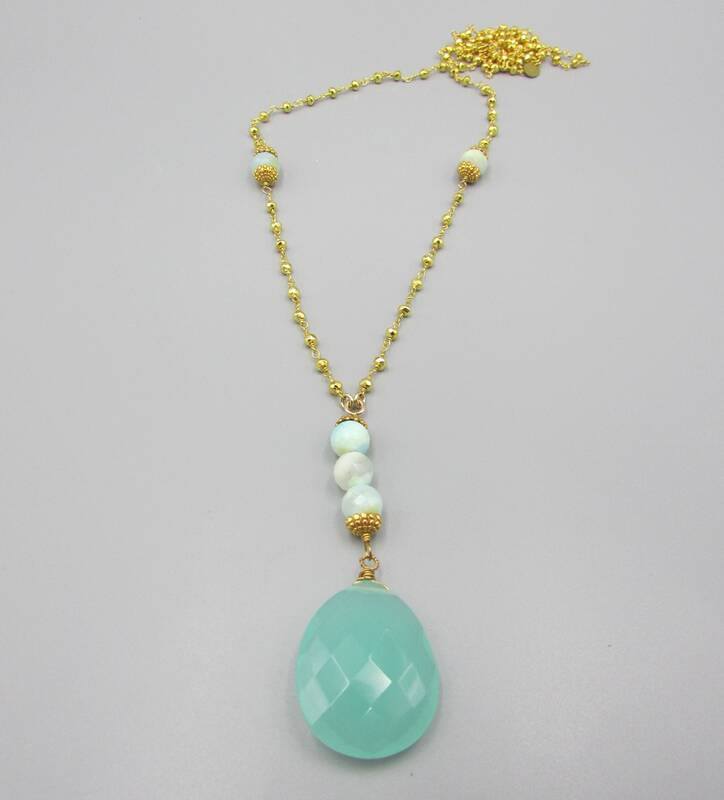 [U.S.] Shipping is within 1-2 days of purchase via USPS 1st Class Mail with delivery confirmation, although often sooner.